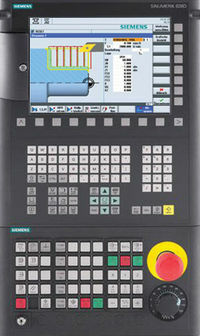 This video from Siemens briefly describes the keys and screen areas of Sinumerik 808D control panel. After watching this video a CNC machinist can easily distinguish different areas of CNC machine control panel. Feed override and Speed override.